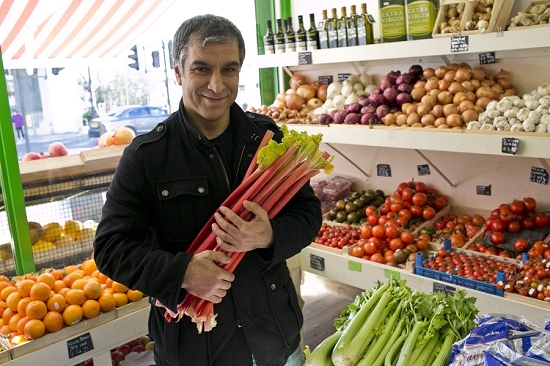 From wholesaling bacon and eggs to driving minicabs and tailoring for Debenhams, it's been an unusual career path into fruit and veg for Aziz Ahsak, 39. 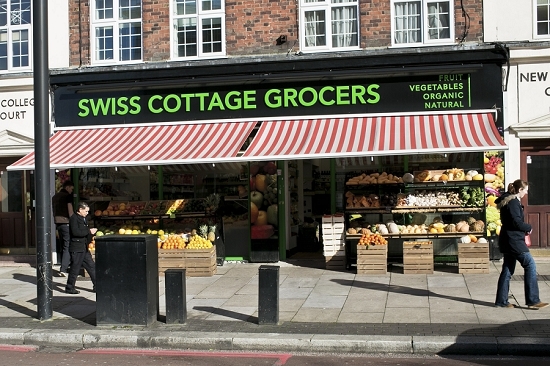 He now runs Swiss Cottage Grocers on Finchley Road, northwest London, and is in the process of opening a second outlet nearby. 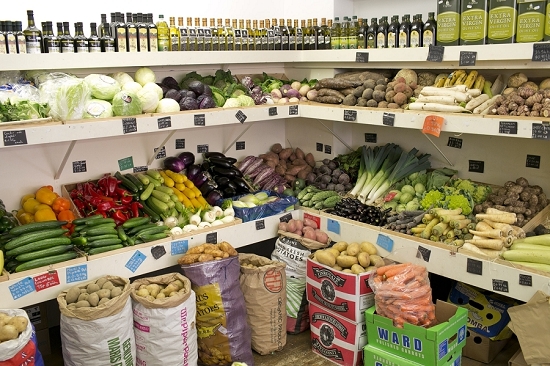 The shop itself is well known for its attractive displays of high quality produce, including organic and hard-to-find lines such as carob, smoked chillies and galangal. There is an excellent variety of produce on show - at least eight varieties of apple, for example. Other shelves include oils, vinegars, pulses, spices and dairy. A row of exotics is impressive, including feijoa, tamarillo, dragon fruit and more, with a display above explaining the fruits' origin and use. "We're trying to sell healthy products," Aziz explains. "We don't sell fizzy drinks, alcohol or cigarettes." His inspiration is the food culture of his country of birth, Turkey, which prides itself on the importance of home cooking and fresh vegetables. "When we were young my mother never let us go out to work without giving us a meal first, even if it was 3 or 4 am." His buyer Cuma Bozkurt travels to Covent Garden Market three of four times a week. 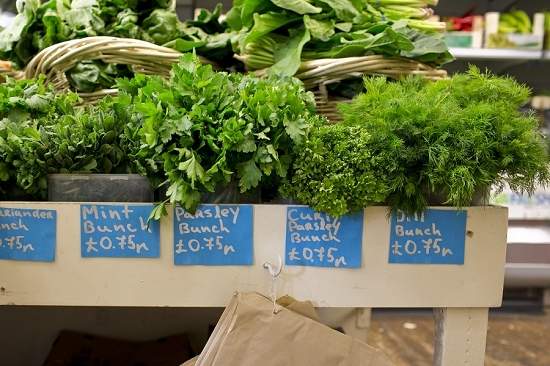 "Covent Garden is good for stuff grown in the sun - French, Spanish and Italian," he says. 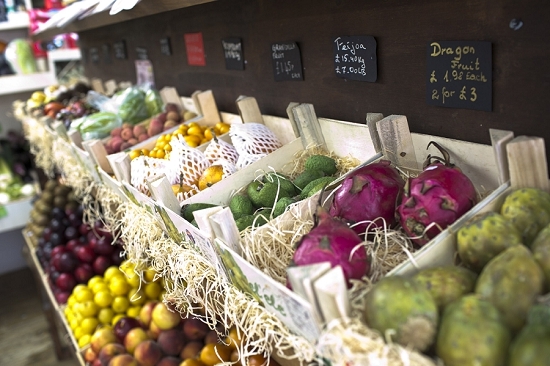 They use a range of wholesalers, including Langridge for some of their organic lines. They also buy from Spitalfields Market when required as they have a wider range of exotics. 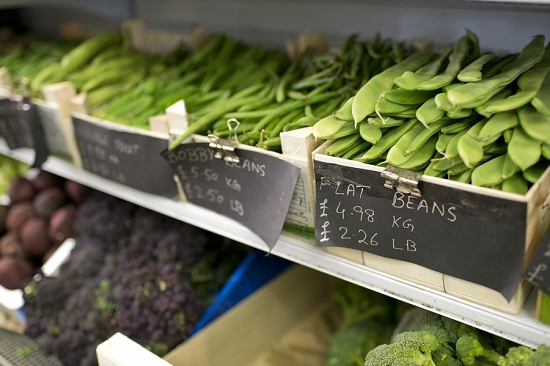 In the past, they used to get organic produce delivered direct to the shop but now opt to go to market. "We prefer to go ourselves and pick ourselves." They do lots of things right at Swiss Cottage Grocers. At the counter, there are tasters of ripe Peruvian mango or white and black truffle oils. Great care is taken to keep all displays looking tidy and fresh. 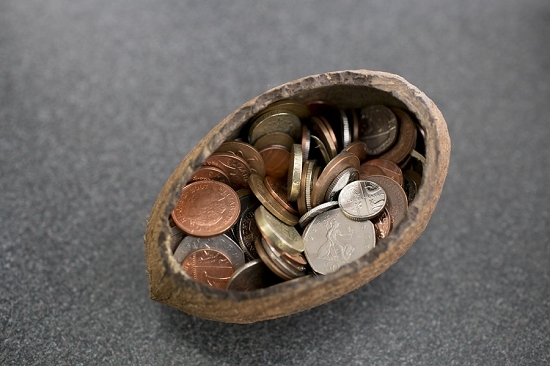 A hollowed-out coconut is used for collecting tips. Clientele is mixed – all ages and nationalities. The first customer wore blue-rimmed sunglasses and jumped out of a Porsche Turbo, parked on double red lines outside. Then I meet writer Bernard Kops and his wife, who used to visit the old Covent Garden market sixty years ago. At the time, they were poor and living with a ballet dancer in Neal Street who used to collect discarded vegetables from the market to cook them all soup. 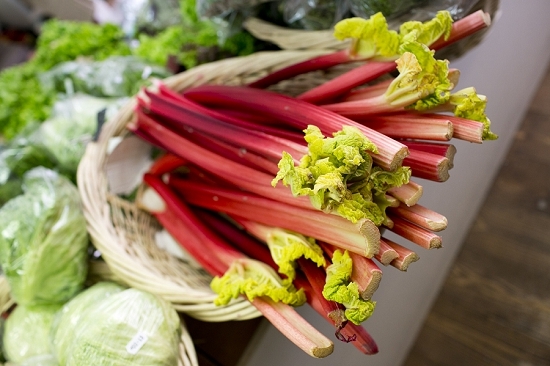 Another shopper, Maurice Coward, says he loves the freshness of the produce at the shop: "It's also good for raw food people – I've been eating raw for twenty years and I’m 87." "It's a proper old fashioned fruit shop," says an Australian called Christine Bryce, who notes that the produce lasts much longer than equivalents from supermarkets nearby. She also appreciates that here you're always welcome to try before you buy. Aziz's new shop is located directly opposite a Tesco Express and Sainsbury's. Is he worried? No. "We have more product range – they are doing a lot of packaged products with plenty of gas and vacuum. Ours is fresh on a daily basis." This charming shop is buzzing on the day of my visit. "Very simply, it's the best in the area," says shopper Steven Traube, queuing to pay. "We say it's twice as good as Waitrose and half the price – so it's four times as good."